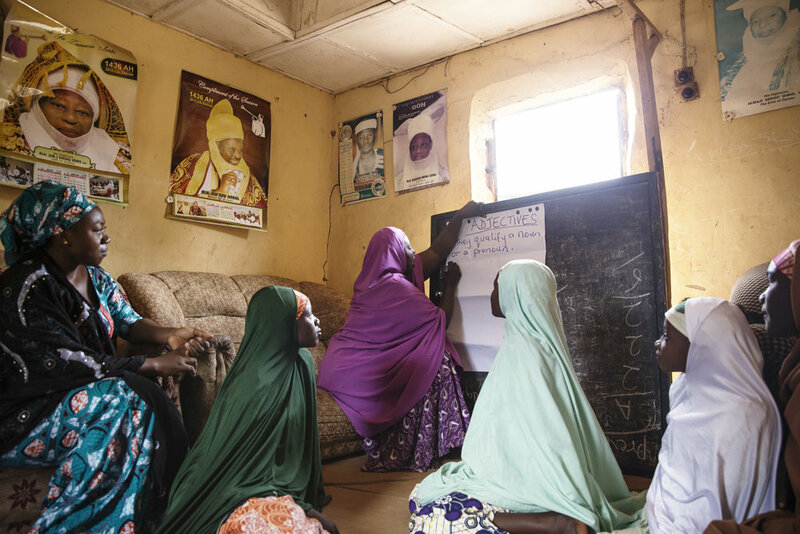 18-year-old Suhaila from northern Nigeria writes about overcoming early marriage and gender discrimination to go to school. In my community, we have many out-of-school girls. Most of us girls want to be educated, but some parents value marriage more than education. They marry off their daughters, even if they are already in school and doing well. Some of my friends were forced to marry men and now they look so old. They are not taken care of and must deal with problems beyond their years. I am the first of ten children in my family. I have seven sisters and two brothers. My father had little education. He is poor and thinks boys’ education is more important than girls’ education. My father allowed my younger brother to go to secondary school, but he could not afford to pay school fees for both of us. My education was not a priority because I’m a girl. Without the Centre for Girls’ Education (CGE), an organization that supports girls in northern Nigeria, I would be already married with many children. CGE came to our community and offered to help girls go to school. My father attended their information session and agreed to spare me from early marriage so I could be part of the program. With scholarship CGE, I enrolled into secondary school. They also provided me with tutoring and a safe place to study. The quality of my primary education was poor. I couldn’t even write my name. I had to turn to the back of my book and copy the name already written out for me. But when I started attending the safe space club in my community, the teacher mentored us in the basics (A, B, C, D…) until we could read and write our names. We gradually learned how to put sentences together. Now I can read and write in my native language Hausa and also in English. I can clearly understand whatever I read. I know now that if I put in a lot of effort, I can have whatever career I want. My favorite subject in school is physics, because I enjoy calculations. I am currently training to become a science teacher. I want to help girls in my community to understand the importance of STEM education and do well in their science subjects. We need more women to work in hospitals as nurses, midwives or doctors. Most women would like to go to the hospital for prenatal care and to deliver their children. But they do not go — or their husbands don’t allow them to go — because there are only male doctors in the hospitals and they don’t want male doctors to touch them. It is very important for a mother's and child’s health to go to hospitals. I now mentor younger girls in my community. They come to me when they have some personal issues or difficulties in their studies. I teach them why education is important and encourage them to continue with school. I am a better person because I completed my education. I want that for them too. Thank you to Habiba Mohammed, Malala Fund Gulmakai Champion and co-director of Centre for Girls’ Education (CGE), for connecting us with Suhaila. Malala Fund supports the work of education activists like Habiba who are breaking down barriers to girls’ education in their communities. 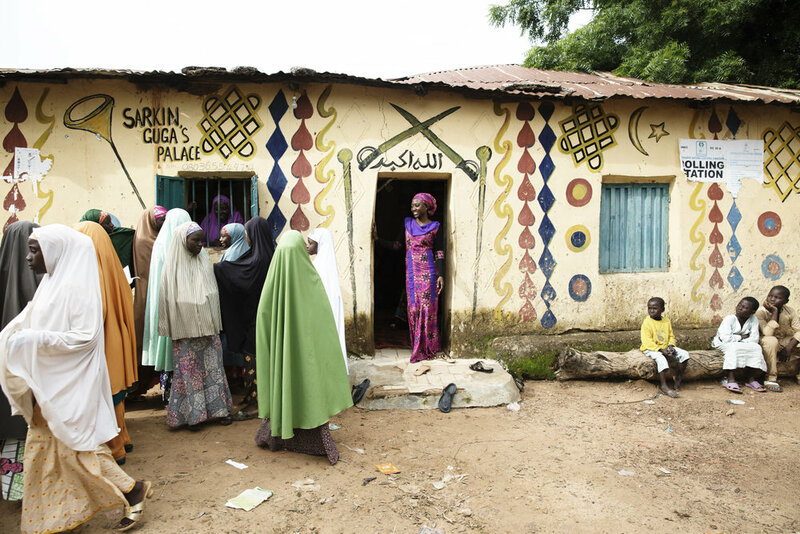 Suhaila Dahiru is an 18-year-old student from northern Nigeria. She tutors other girls in her community and is studying to become a science teacher.